Bose Philippines unveils three new headphones that hail the mixture of signature Bose performance matched with new style options. All 3 were engineered to give you the best of all worlds: deep and clear audio, superior durability and comfort, plus the addition of more colors and artistic designs that is modern and full of energy. The FreeStyle™ earbuds and SoundTrue™ headphones are equipped with an inline remote and microphone that that are made and works efficiently with most iPhone®, iPad® and iPod® models, making hands-free talk, switching between calls and music a seamless experience. The FreeStyle™ earbuds comes in 2 cool colors Indigo and Ice Blue. 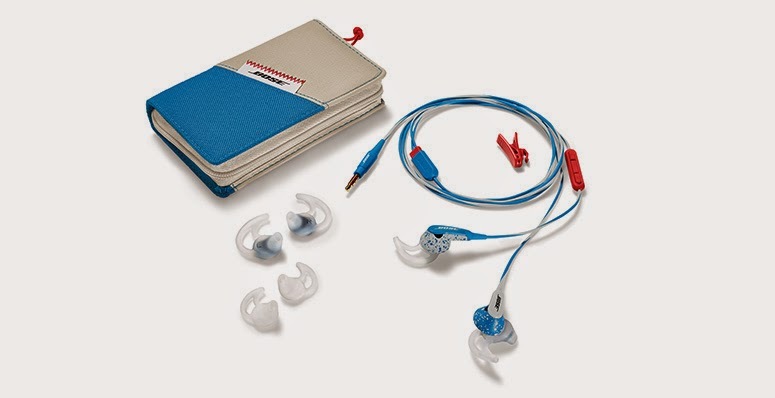 They are equipped with proprietary Bose StayHear®(stay here) tips packaged with three sizes. the tips spread contact evenly across the ears and conform naturally to their shape, creating a stable and personalized fit. Hydrophobic cloth covers the acoustic ports for moisture resistance, and the cables are constructed to withstand wear and tear. 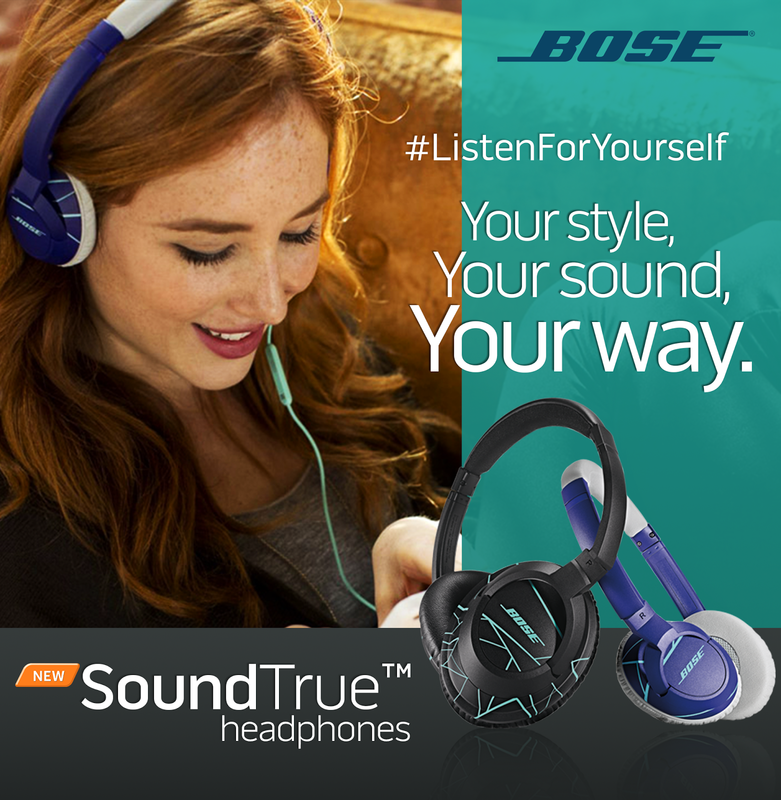 Bose offers SoundTrue™ on-ear and around-ear headphones in Black, White, Mint, and two-tone designs of Purple/Mint (on-ear headphones only) and Black/Mint (around-ear headphones only). They feature a reinforced headband with soft cushion and foam ear cups with a variation of matching and patterned scrim colors, and fit comfortably regardless of head size. These SoundTrue™ around-ear headphones fold flat, and SoundTrue™ on-ear headphones fold up for easy transport. 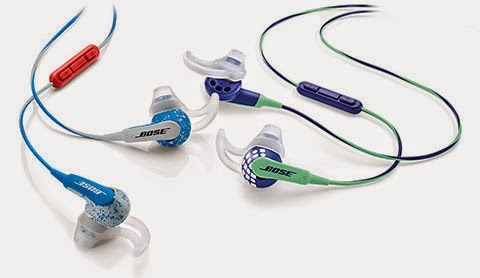 If you own a Bose OE2(On-Ear) headphones you know what we are talking about. They're lightweight and portable enough to carry yet built to withstand everyday use. 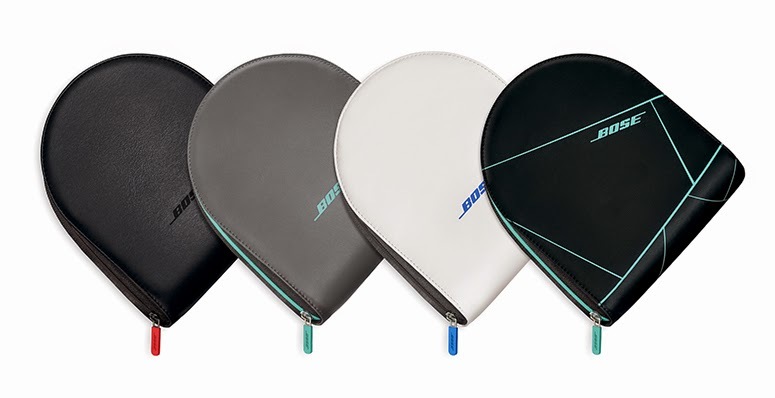 These Bose FreeStyle™ earbuds and SoundTrue™ on-ear and around-ear headphones are bundled with great looking carrying case that matches the design and color of your choice. 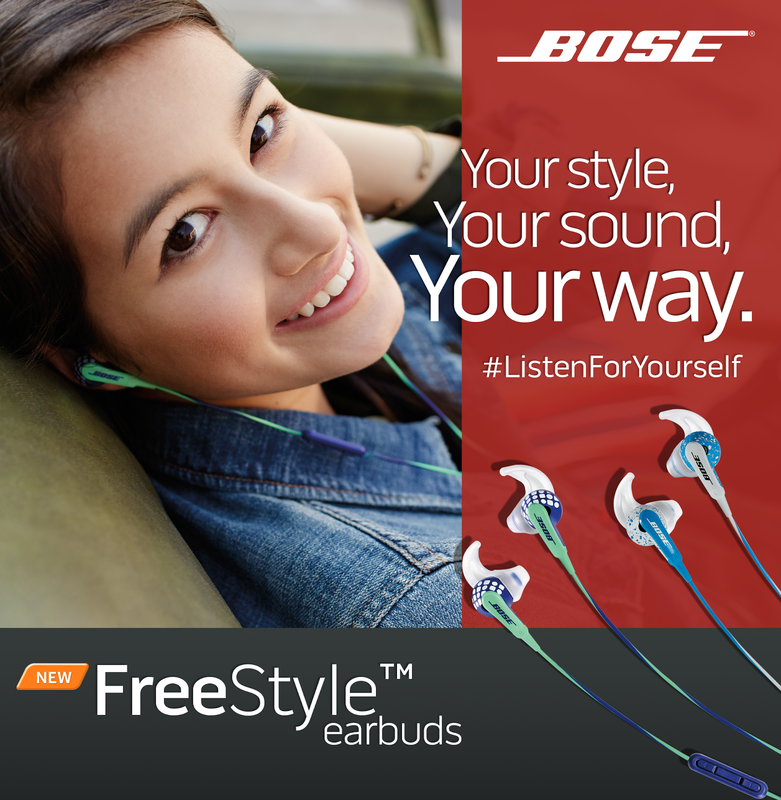 Make sure to get your original and authentic earphones and headphones only from Bose Stores and authorized dealers!